Wind turbines, designed as an alternative to fossil fuels, still contribute to climate change due to the way they redistribute heat and moisture in the atmosphere, according to a study published Thursday. Researchers from Harvard University found that powering the entire United States with wind energy would cause a 0.54 degree Celsius ground temperature rise in the area where the turbines were located, and a 0.24C increase across the continental United States. The Paris climate accord, meanwhile, calls upon countries to limit temperature increases to between 1.5C to 2C to avoid serious environmental consequences. 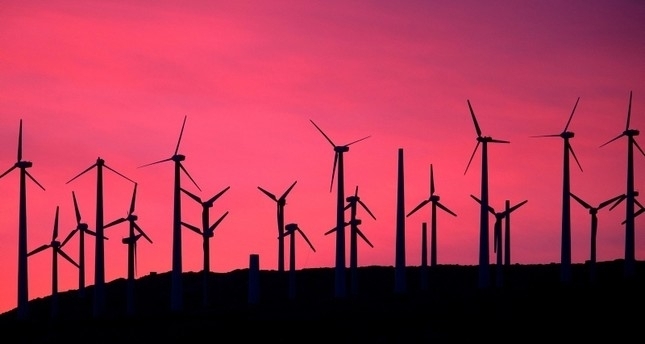 Previous studies have also examined the impact of wind turbines on climate change. One recent study, published in the journal Science, concluded that covering an area of the Sahara desert with wind turbines would affect local temperature, rainfall, and in turn, vegetation. "If your perspective is the next 10 years, wind power actually has -- in some respects -- more climate impact than coal or gas. If your perspective is the next thousand years, then wind power is enormously cleaner than coal or gas."